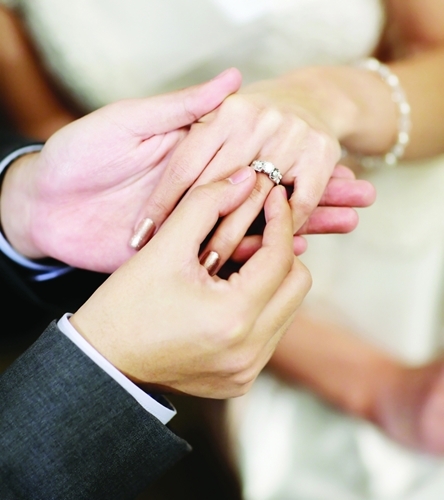 According to the Gemological Institute of America (GIA) “Diamond clarity refers to the absence of inclusions and blemishes.” From a consumer perspective, you might interpret this statement to imply that a flawless diamond is completely free of inclusions and blemishes, because that would make sense, right? After all, Webster’s Dictionary defines “Flawless” as “having no defects or faults, especially none that diminish the value of something.” And then Webster’s uses the example of a flawless Ming Dynasty vase. But, stop for a moment and ask yourself, what are the odds that a vase from the Ming Dynasty (1368–1644) might actually be 100% flawless? Could a porcelain vase that is hundreds of years old actually be completely free of defects or flaws? Or, is it more likely, that the latter part of Webster’s definition of “Flawless” is more appropriate? That the minor defects or characteristics are so insignificant that they do not diminish the value of the object being evaluated? 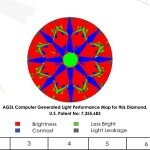 Perhaps this is a more accurate way to describe the characteristics of a flawless diamond because the clarity grade is determined using 10x magnification, which is the industry standard for diamond grading. 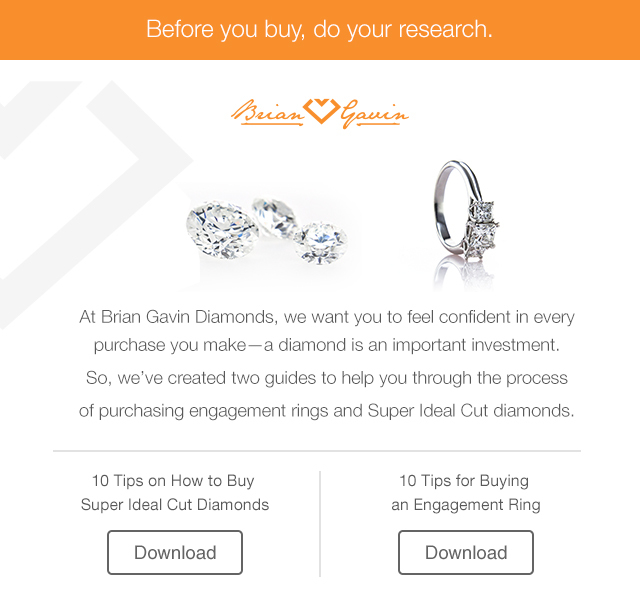 Should You Buy a 1 Carat Flawless Diamond Ring? Now that you have a better understanding of the flawless diamond clarity grade, you might be wondering whether you should buy a one carat flawless diamond ring. After all, the flawless clarity grade is determined using 10x magnification, which means that inclusions might be visible at higher degrees of magnification, such as 30x, 40x, or higher. Perhaps a better question is whether you need to buy a 1 carat, D-color, Flawless (clarity) diamond ring for it to look perfect. And for the sake of this article, we’re using the term “perfect” to describe the way you want the diamond to look on her finger, because in truth, there is no such thing as virtual perfection, the entire concept of perfection is conceptual. If you’re like most people, you want a diamond that faces-up eye clean. 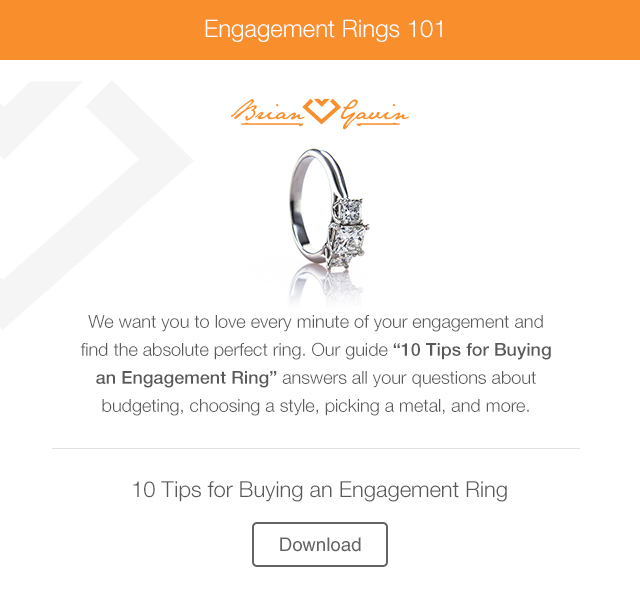 The majority of people buying an engagement ring, don’t want their fiancé to see any flaws within the diamond when they gaze upon it in the face-up position. 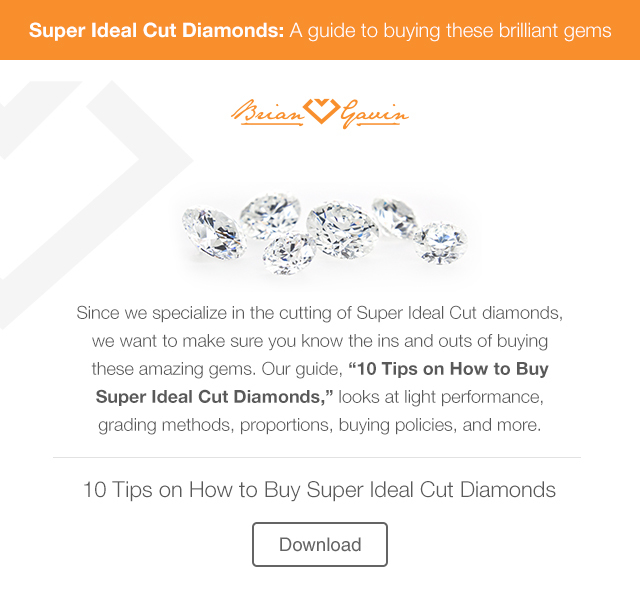 So, do you need a one carat, D-color, Flawless, diamond? 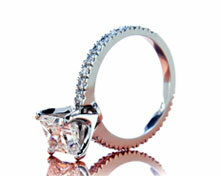 With the aforementioned in mind, you might be wondering whether you need a D-color, Flawless diamond. Because the reality is that a VS-2 clarity diamond is going to face-up eye clean when viewed in the face-up position, but it be possible for you to see some inclusions from a side profile. Then again, how often do people stare at their diamonds from the side? I’m going to let you in on a little secret. Once that diamond ring is on her finger, she’s not going to want to take it off, and she’s going to be looking at it in the face-up position, while the diamond is on her hand, stretched out in front of her from a distance of about 1-2 feet. Go ahead and try it. Imagine that you are your girlfriend (this should be good) and hold your hand out in front of you, as if you are looking to see how your Brian Gavin Signature Diamond dances in the sunlight. Just picture her sitting there, wiggling her fingers around, mesmerized by the sparkle. And even if she were to raise her hand up, and arch it in such a way, that she was to look at it from the side profile, are her eyes really sharp enough to see something so tiny, as the inclusions within a VS-2 or higher clarity diamond, without magnification? With this in mind, I propose that there are many different versions of what people consider to be perfect or flawless. With regard to diamond clarity, flawless is a term that we use to describe diamonds within which a trained grader is unable to detect clarity characteristics using 10x magnification. To that regard, what we’re really talking about is relative rarity and not the total absence of inclusions. Does a Flawless Diamond Sparkle More? Practically every time I’ve spoken with somebody who wants to buy a one carat, D-color, Flawless clarity, diamond, it’s because they assume that a flawless diamond is going to sparkle more than a diamond with a lower clarity grade. 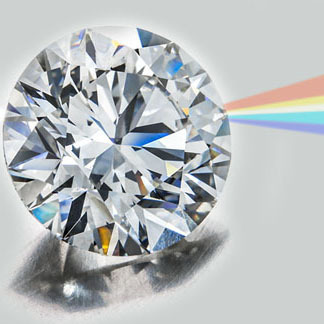 While there is some truth to the premise that a diamond with fewer inclusions might sparkle more than a diamond with more inclusions, I think it is more appropriate to say that a lower clarity diamond, such as an I-1, I-2, or I-3 clarity diamond, which contains substantial inclusions, is likely to exhibit less light return than a diamond with inclusions which are more minute. 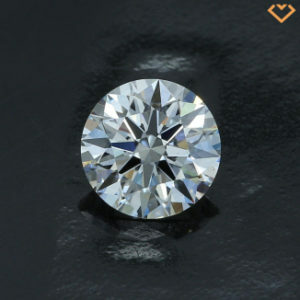 The fact is that lower clarity diamonds, such as those in the I-1, I-2, and I-3 clarity grades, are more likely to look dead. 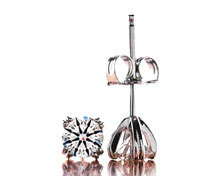 In fact, the term “dead” is commonly used to describe the look of lower clarity diamonds within the industry. 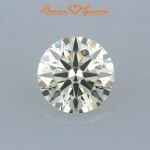 However, we don’t offer Brian Gavin Signature diamonds in clarity grades lower than SI-2. In addition, we carefully evaluate the characteristics of every diamond that bares the Brian Gavin Signature to ensure that it delivers the light performance and sparkle factor that you crave. And the reality is that both of these diamonds look the same from the face-up vantage point. Which is why most people who start out shopping for a 1 carat, D, Flawless, Brian Gavin Signature diamond, decide to purchase a diamond of a different clarity grade that offers the same light performance and sparkle factor… Who wouldn’t want to save thousands of dollars, right? At the same time, you might be surprised by the number of people who prefer to buy Flawless and Internally Flawless Brian Gavin Signature diamonds, because they like the idea of presenting their fiancé with a diamond that has received the highest clarity grade available. Sure, they probably realize that there is no such thing as flawless, but they appreciate the idea behind the premise. What is the average diamond color bought in America? This entry was written by Danny, posted on August 6 at 7:33 am, filed under Diamond Education. Bookmark the permalink. Follow any comments here with the RSS feed for this post. Trackbacks are closed, but you can post a comment.